JUST a few days after seemingly gloating over the inclusion of his political rival Michael Rama in the “narco list” of personalities that President Rodrigo Duterte linked to the illegal drugs trade, Cebu City Mayor Tomas Osmeña got his own version of a slap. The National Police Commission (Napolcom) announced that it has withdrawn his deputation as Napolcom's representative in the city. Under Republic Act 6975, governors and mayors are deputized as Napolcom's representatives in their territorial jurisdictions. For city mayors, this means they will have operational supervision and control over Philippine National Police (PNP) units in their jurisdictions. Meaning that they will have the power to “direct, superintend, oversee and inspect” the said police units and forces. Other powers include having a say in choosing the police chief. Osmeña, in a statement posted on Facebook, said that he will abide by Napolcom's resolution and then repeated what he earlier said about focusing on other concerns like the problems on garbage and traffic. But he came up with what could be an ominous reminder to Napolcom: that the City is still paying the police and Bureau of Jail Management and Penology (BJMP) personnel incentive allowances and that the City still has 50 vehicles being used by CCPO. This is the first time since the PNP was created that the Napolcom withdrew the deputation of a Cebu City mayor. But it is also only Osmeña among those who had a stint as Cebu City mayor post-Marcos that withdrew support from the police. 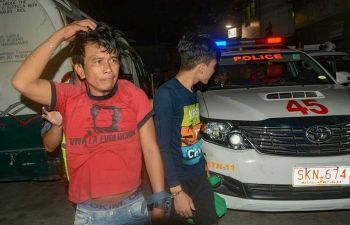 Cebuanos have a term for that: “nagpatas-anay sa ihi.” But both the Napolcom and the mayor should stop the peeing contest because it would not do any good to city residents.